Beginning with the legendary story of a man in Jonesport (or was it Dexter or Waterford or Litchfield?) who raffled off his horse, which incidentally had been dead for some time, these twenty-nine tales cover the length and breadth of Maine and extend back to the sixteenth-century fishing camps that were set up a hundred years before Jamestown and Plymouth. Learn about the origin and history of “schoolmarms,” along with other classic tales on Down East thrift, the evils of drink, Maine weather, lumbering folklore, and Paul Bunyan. These yarns often pull your leg, so keep a sharp eye! Such a collection makes for an encyclopedia of the great cultural achievement of Mainers, which has been compared to the Rosetta Stone and the birth of Chaucer. 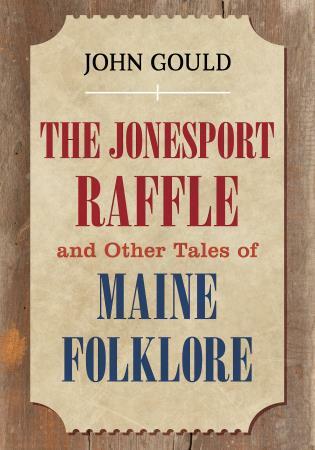 But essentially The Jonesport Raffle is a book of the highest humor that will be a source of infinite enjoyment.